Research activities regarding semiconductor metal oxide gas sensors are booming all over the world. The importance of semiconductor metal oxide gas sensors has been generally recognized in different research communities, which have been actively promoting fundamental research and practical application of gas sensors. It is well known that semiconductor metal oxide gas sensors have been widely used in various fields, and they are becoming a key demand in modern high-tech society. Therefore, basic research and application technology of semiconductor metal oxide gas sensors have attracted wide attention. 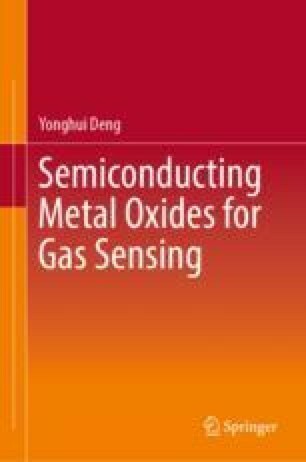 This chapter briefly introduces the development history and research progress of semiconductor gas sensors, and particular emphasis is put on introducing recent innovative research and edge-cutting techniques on semiconductor gas sensors.